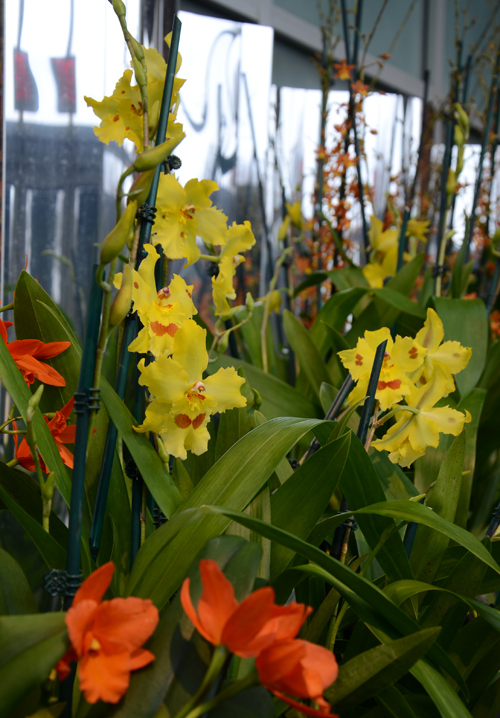 We just added some exceptionally beautiful orchids to ORCHIDdaze: Surreal Beauty, including Odontonia Yellow Parade 'Alpine.' What a stunning yellow this is! 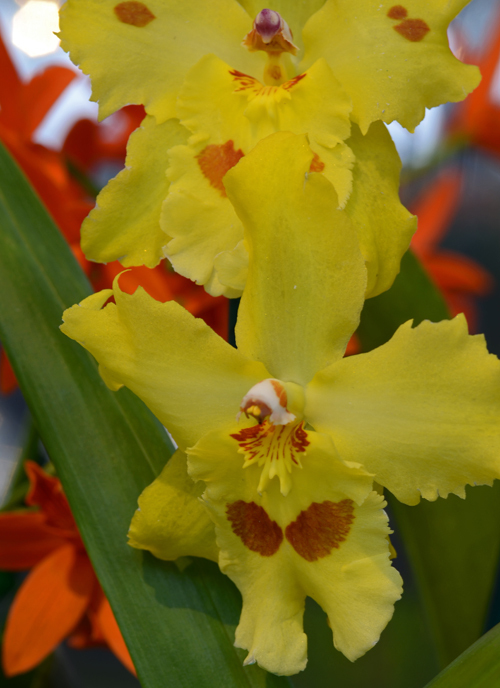 Odontonia is a cross between Miltonia and Odontoglossum. In the foreground is Blc. Fuchs Orange Nugett. In the background, Oncidioda Space Noez 'Dragon's Tears.' You can find these in the Fuqua Conservatory Lobby. 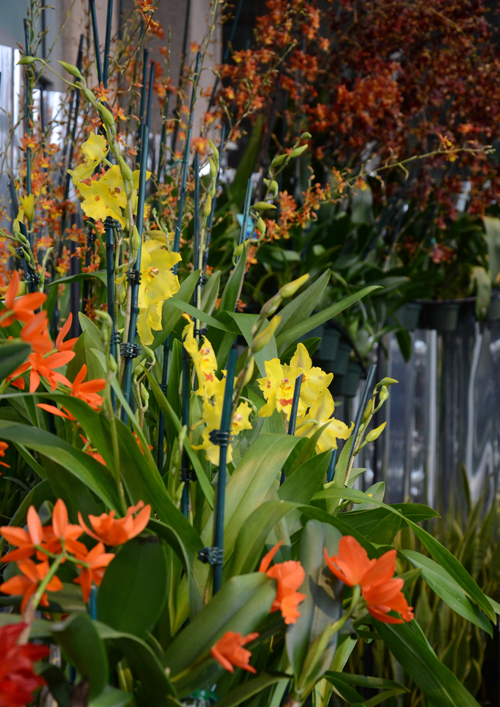 This is going to be a fantastic weekend to visit the Garden--you can catch ORCHIDdaze and Atlanta Blooms! (our outdoor display, literally thousands of bulbs). See you there!